Watercolor, ink, and pencil on paper. “Ursa” Watercolor and Ink painting by Darcy Goedecke from her Spirit Animal Series. 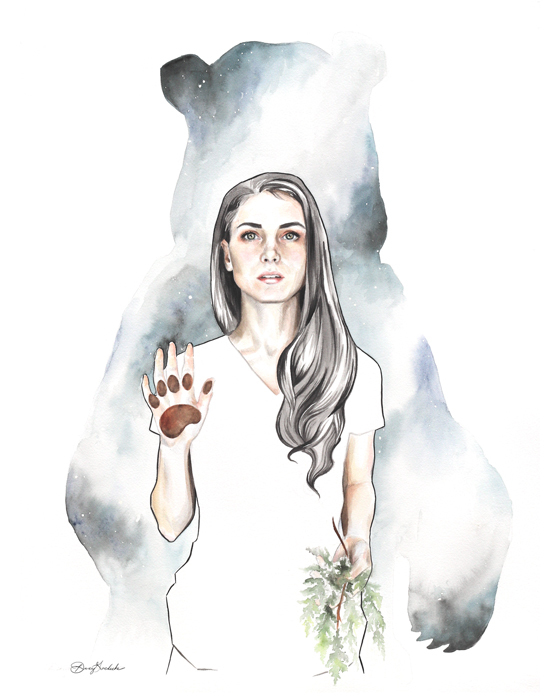 It depicts a self-portrait of the artist and her spirit animal, a bear. Framed in a reclaimed wood frame with UV glass.